Home / Articles tagged with "Dr. Elena Trukhacheva"
Articles for Tag: "Dr. Elena Trukhacheva"
See why a reproductive endocrinologist says persistence may pay off. Human reproduction is an inefficient process at best, regardless of age. 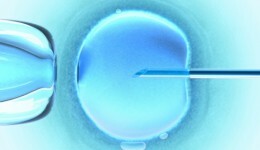 Find out from an infertility specialist about the new advancements in reproduction.